It's not always easy for Robert Pattinson: stress is on him! 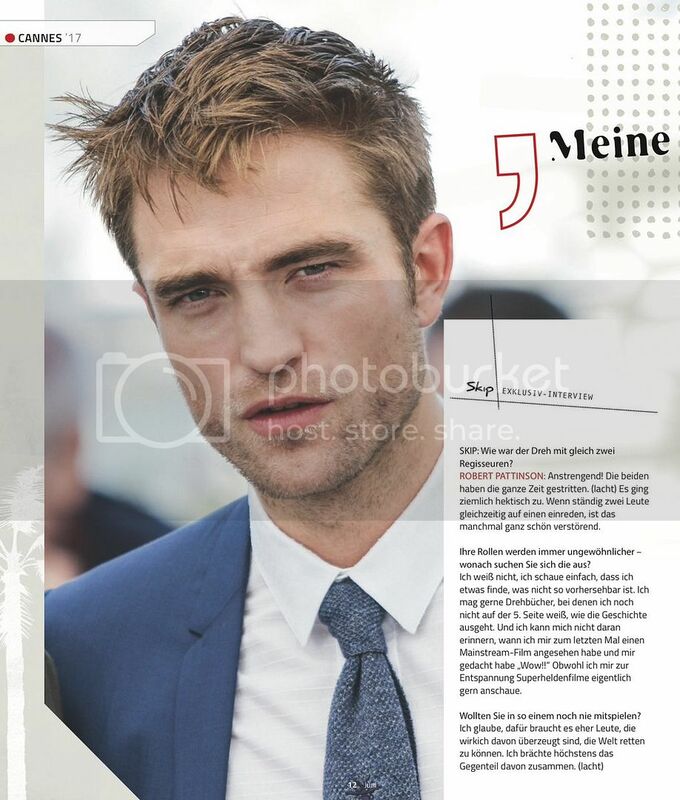 In Cannes, he presented the drama Good Time and he told us that he knew how to manage his anxiety. SKIP: How did it turn out with two directors? 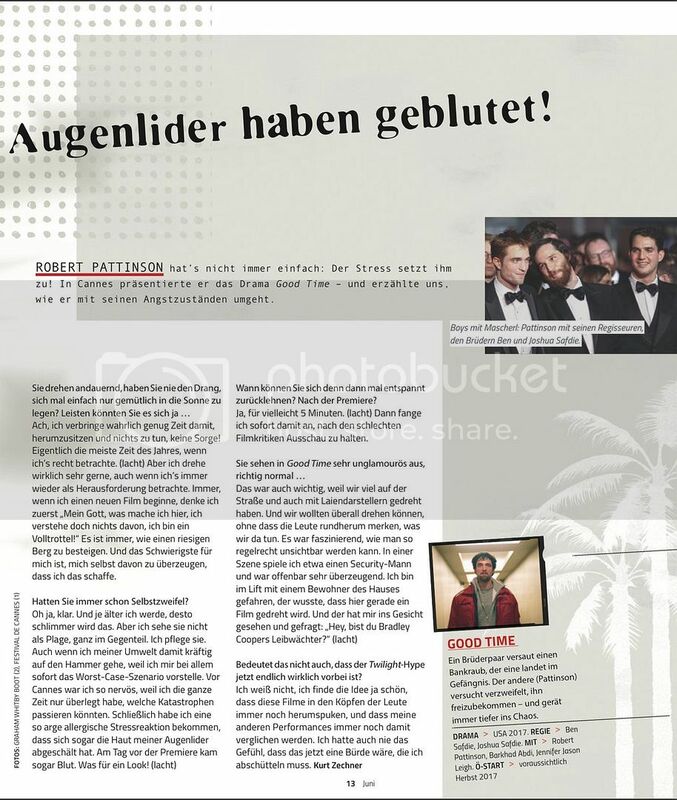 Robert Pattinson: Difficult! The two competed all the time (laughs). It was quite restless. If two people speak constantly at the same time, it is sometimes quite perplexing. Your roles are becoming more unusual - what are you looking for? I do not know, I only know that I'm looking for something that is not predictable. I like a script in which I still do not know where the story goes on page 5. And I do not remember the last mainstream movie I saw and where I said "Wow !!" Although I like to watch a lot of superhero movies. I think it's more for people who are convinced that they can save the world. I am rather the opposite. (Laughter). Oh I really spend enough time sitting down and doing nothing, do not worry! In fact, most of the time, when you look at it well. (Laughs) But I really like to turn, even if it's always a challenge. Every time I start a new film, I say to myself "My God, what am I doing here, I do not understand anything, I'm an idiot!" It's like climbing a big mountain. And the hardest thing for me is to convince myself that I can do it. Have you always doubted you? Oh yes, of course. And the older I get, the worse it is. But I do not see it as a scourge, it's just the opposite. I manage it. Even though it's when I go to an event that has a big impact, because I immediately imagine the worst-case scenario. Before Cannes, I was so nervous because I was always wondering what catastrophes might happen. Eventually, I made such an allergic reaction due to the stress that the skin of my eyelids rose. The day before the first there was even blood. What a look (laughs). When can you relax? After the first? Yes, maybe for 5 minutes (laughs). Then I immediately start looking for the bad reviews of the film. It was important because we filmed a lot in the street and with amateur actors. And we wanted to go everywhere, without people noticing what we were doing. It was fascinating to see how you can become so invisible. In a scene I play a security guard and apparently I was very convincing. I climbed into the elevator with a resident of the apartments who knew that a film was turning there. And he looked straight at me and asked, "Hey, are you Bradley Cooper's bodyguard?" (Laughter). Does this mean that all the hype around Twilight is finally over? I do not know, I find that these films are still in the minds of people and that my other performances are still compared. I never felt that it was a burden I had to get rid of.